Photos by Jenn Burt (left) and Cody Gold. This small (to 2.5 cm) whitish nudibranch can be identified by its many large cerata tipped with orange and white. The cerata, which have brown inner cores, project from all over the dorsal surface of the animal including in front of the rhinophores. There is a thin red stripe between the two rhinophores. 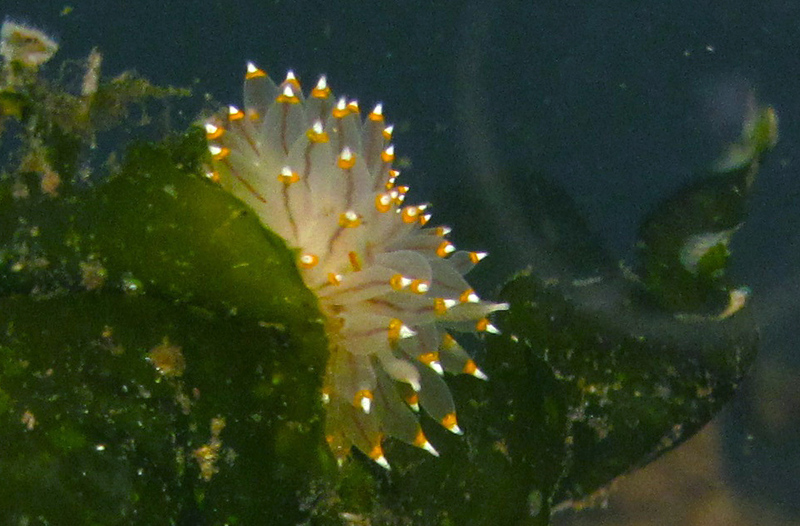 The white-and-orange-tipped nudibranch inhabits the intertidal and subtidal to a depth of 30 m. Its eastern Pacific range extends from southern Alaska to southern California; it is also found in the Sea of Japan. 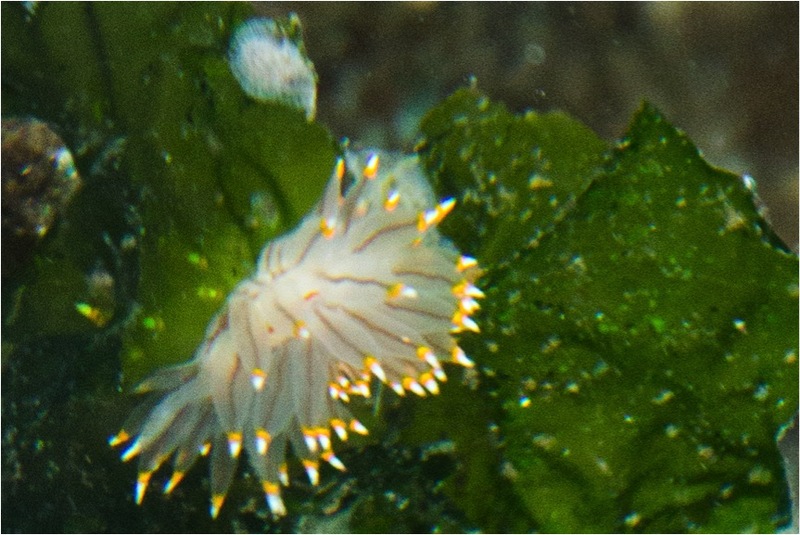 The presence of cerata in front of the rhinophores helps to distinguish this species from the otherwise similar opalescent nudibranch (Hermissenda crassicornis). This species preys on bryozoans. It often hosts an endoparasitic copepod, Ismaila belciki. A study in Oregon found the rate of infection could be as high as 80%. Goddard, J. H. R. (2003). Janolus fuscus O'Donoghue, 1924. In Sea Slug Forum. Australian Museum, Sydney. Accessed 27/01/2014.